Having problems with faulty wiring in your air conditioning unit can be hazardous. There are a few indications of bad wiring that you can look for and determine whether it is time to have it repaired. Exposed wires around the A/C unit are typically seen with improper installation of the air conditioner equipment. Bad wiring is not only a fire hazard but it can allow moisture into the unit. It can create the need for an expensive repair. Do not try to do the work on your own, have a professional come out to fix the exposed wiring. If the circuit breaker keeps getting tripped when the air conditioner tries to run, there might be a problem with the wiring inside the unit. If the breaker trips, do not keep switching it back on because this can cause more damage to the unit. Another cause of a tripped breaker, could be a dirty air filter or blocked airways. Our Technicians can check this and clean your filter quickly. 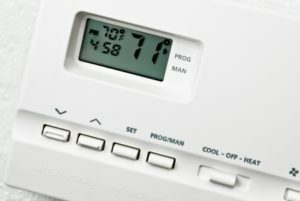 Your thermostat could also be a source of bad wiring. Thermostats that have not been properly maintained or if it is an older model. Upgrading an older model will not only fix any wiring problems but can also make it easier to make cooling your home more energy efficient. If your air conditioner is giving you trouble call the heating and cooling experts at Sanders & Johnson today or Contact Us now. We offer repairs and installation in Denver, CO.